Chipper was the weakest of the baby birds born in the swampland around the Cape Canaveral Launch Complex, and couldn’t fly as well as his brother or sister, but one day he flew over to the giant Man Bird and was trapped inside. His adventure took him on a flight higher than any bird had gone before. 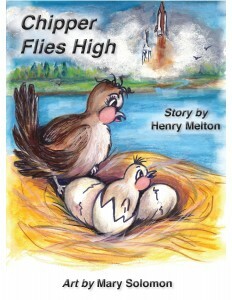 This book for youngsters just old enough to know about rocket ships is a fun read about a little bird who struggled to go farther and higher.